The New York Times Ben Brantley said the show about a high school felt like a show put on by a high school, "and I don't mean a high school of the performing arts." Newsday's Linda Winer damned Crumm and Osnes with faint praise and said the rest of the show appears to have been cast to make the reality show winners look good. The New York Daily News' Joe Dziemianowicz says Crumm and Osnes are "Fine," then adds that fine doesn't cut it as a Broadway lead. Robert Feldberg of North Jesey's Record says the show, "seems uninterested in being much more than the end product of a TV promotion." The New York Post's Clive Barnes was most the most pointed critic I read in laying blame for Grease's failure at Crumm and Osnes' feet, or more to the point, the people who voted for them. And this is sort of what you had to expect. Reality TV was not going to be welcome with open arms by Broadway critics or a lot of the Broadway community unless someone really stormed through and knocked their socks off. But there were consistent threads running through these reviews, like the actors seeming to be overdirected by Kathleen Marshall and Crumm not being a convincing leader of the pack. That was why Crumm came close to not even making the final field for the live competition, because the judges, producer David Ian in particular, doubted boyishly sweet Crumm could morph into tough ladykiller Danny. The general population that votes on reality show competitions may not completely understand that just because you're the best talent on stage -- which Crumm arguably was -- doesn't mean you're right for every part. Of course, audiences will have the final say on this revival, and if it does indeed sell out for 18 straight years -- which is how long producers claim it would take to get everyone who voted in the competition into the Brooks Atkinson Theatre -- this may not be the last time reality TV bites Broadway. 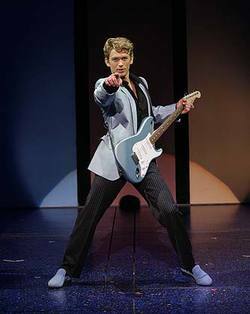 Speaking of reality TV contestants, which we were in our last post about Jason Epperson, there's news about Derek Keeling, the University of Kentucky theatre graduate who was one of the major competitors on Grease: You're the One That I Want earlier this year. 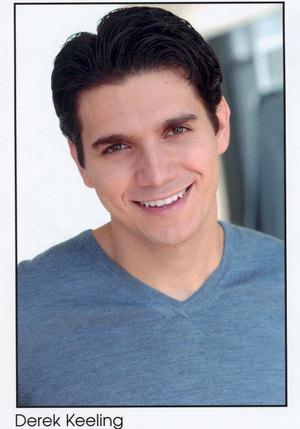 On the blog on his myspace page, Derek reports that he has been cast as Charles Darnay in the new musical version of Charles Dickens' A Tale of Two Cities. The music, lyrics and book were written by Jill Santoriello, an Ohio University journalism school graduate and self-taught musician who, according to her biography on the show's website, has been crafting music based on Tale since high school. The show will open at Asolo Repertory Theatre in Sarasota, Fla., in October, with hopes to transfer to Broadway in 2008. Playbill described the show as a serious-minded pop epic in the tradition of Les Misérables. Keeling was the second to last person eliminated on You're the One that I Want in which contestants were competing for the roles of Danny and Sandy in the Broadway revival of Grease. Max Crumm and Laura Osnes were the winners and star in the show which opens Sunday on Broadway. In an interview with the Herald-Leader in April, Keeling said being on the show had opened a lot of doors for him. Looks like he stepped through one. With a 10-year-old daughter, I am used to the giggles of little girls. She can create a little of her own, and with a friend over, those chuckles fill the house. 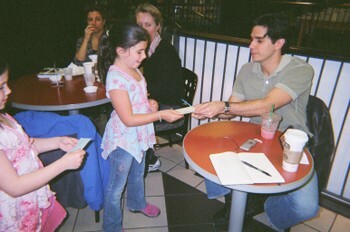 So, it didn't really phase me that there was a growing giggle concert behind me in the Barnes & Noble Starbucks on Fifth Avenue, until the mom leaned in an asked my interviewee if her girls could have his autograph. Yes, the days of anonymity are over for University of Kentucky graduate Derek Keeling, who was the one many viewer's wanted to play Danny Zuko on NBC's recent Grease reality show. It's not that Derek gets mobbed, but he gets approached a lot. A few fans even delayed our meeting for a few moments. 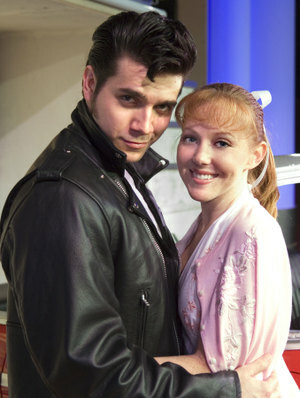 The show in question was Grease: You're the One That I Want, in which viewers voted to decide which contenders would land the roles of Danny and Sandy in the upcoming Grease revival. Derek, of course, did not get the role of Danny. That went to Max Crumm, thanks to a legion of Slacker Backers. Derek was quite candid about the show and his odyssey from presumptive winner to last Danny cut before the finals. We'll share more of that conversation in a feature story in a few weeks here. But no doubt, being on a national TV show, was very, very good for the Wildcat's career. Companies that are booking him offer to put his name above the show's title. He was courted by a number of agents. And he's getting opportunities that used to go to "name" actors. Derek is also another illustration of the tightly woven web of Kentucky and Kentucky connected talent in New York. To reach him, we put a call in to Joan Rue at the University of Kentucky Theater Department, who put us in touch with Louisvillian and UK graduate Chase Jennings, who is an agent up here, who knew Derek and put us in touch with him. And then, when we were chatting with Derek, he knew or worked virtually every Kentuckian on Broadway we mentioned. But not many of them get a reaction from little girls that Derek gets. I am not much of a TV watcher, and frankly, a lot of the TV I do end up tuning in is PBS. American Masters rarely fails to be fascinating -- took in the Annie Leibovitz show twice, a few months ago. Frontline is broadcast journalism as it should be, and American Experience may be one of the best history teachers out there. Austin City Limits is a Saturday night staple, and more often than not, Great Performances is worth a look. I could go on -- love History Detectives, I'm developing a taste for Antiques Roadshow and here in the Bluegrass State, KET develops a lot of terrific programming. We're tossing bouquets here, because the next thing I am going to say is Eric Williams' recent blog item on the Huffington Post did strike a chord with me. All I had to read was the title, If It's Orbison, It Must Be Pledge Month, to know exactly what he was talking about. We just finished that time of year where PBS stations toss out most of their normal programming in favor of shows we do not see the rest of the year to persuade us to open our wallets. Now, even here, I have to say I liked quite a bit of what KET showed during the early March drive: the Alison Krauss and Union Station concert filmed at Louisville's Palace Theatre was sublime, the Great Performances' James Taylor tribute was better than I thought it would be and the Antiques Roadshow "greatest hits" was a lot of fun (favorite item: Someone had a pre-production screenplay of Gone with the Wind that was so early in the process it listed George Cukor as the director). 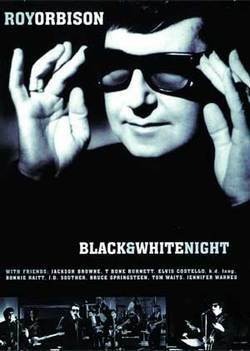 I even like the Roy Orbison Black & White Night perennial. But there were numerous shows that were so beneath PBS. For instance, they've started trotting out these Jurassic rock and pop shows like The British Beat. Being a British Invasion fan, I was interested, until I started watching, and saw that it was basically reunited or semi-reunited 60s rock bands trotting out their old tunes. We got that a year or two back with a disco show. This is quality programming? I would dis Celtic Woman, but my wife would probably dis-agree. And the video clips of Elvis mixed with his band in a recent performance was just kind of bizarre. What was worse was every one of these seemed to play over and over again, like they were on a DVD changer. In fact, a lot of these shows were repeats from previous pledge drives. Williams makes the good point that this is not how NPR operates (though he does indulge in a snotty attack on Car Talk). When you're in public radio's pledge drive, you hear a lot of interruptions, but those are in the midst of your regularly scheduled programming. I don't go into Terry Gross withdrawal during pledge week. In fact, if you love a certain program, you are encouraged to call in and pledge during that show to show your support for it. Hmmm. Should I call in during Solo Shots or Wait Wait . . . Don't Tell Me? But if I want to show my love for Austin City Limits, no chance. It was pre-empted all pledge drive. No Frontline. No American Masters. PBS has probably figured out the most effective ways to raise money, but sometimes, during pledge weeks, it just doesn't feel like you're watching PBS. At least, not the one that I usually tune in. Two more Grease notes: Thinking about Grease: You're the One That I Want, and what I did not like about it, got me to thinking about the reality show I do thoroughly enjoy: Project Runway. That's the one that has aspiring fashion designers competing for the favor of a panel of judges. One of the big things I like about it is that it really feels like it is about fashion. Grease almost never felt to me like it was about Broadway. Maybe expert critiques of scene work and a deeper look into the journey of aspiring actors would be Nielsen ratings poison for a network show. But, if Broadway producers want to do this sort of thing again, maybe they could modify their expectations, take the show to Bravo and -- I know this may be heracy in this interactive world -- dispense with the viewer voting. I'm much more interested in seeing how Broadway producers weigh casting decisions than finding out who has the biggest fan base. This will probably be the last word on Grease, and of course, our whole impetus for following the show was University of Kentucky graduate Derek Keeling. I kept meaning to post a photo from our archives of Derek in the UK Theatre's 2002 production of Howard Crabtree's When Pigs Fly, so here it is. (The copyrighted photo is by David Perry.) It's a bit different from the Danny Zuko look, eh? It can be sort of interesting to watch the finale of a reality-competition show where the winners' names are already in the envelope to see how the producers manage to kill an hour or two, when everyone's just waiting to hear less than a dozen words. 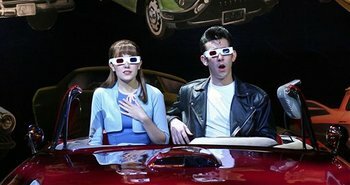 Filling that hour on the Grease: You're the One that I Want finale served to remind us exactly how far Max Crumm and Laura Osnes came to win the roles of Danny and Sandy in the Broadway revival of Grease. 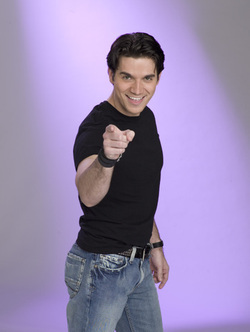 Max was almost left out of the running, producer David Ian, in particular, believing that as talented as he was, he could not pull off the leader of the pack role that Danny Zuko is. And while Laura was a bit more plausible as Sandy, her early performances were not knock outs, and the show's judges openly questioned how the sweet Minnesotan would fare among the tough New York stage vets in the supporting cast of Grease. Now, with the You're the One that I Want ratings, which were not spectacular, you have to wonder if a Broadway show will get this kind of spotlight again. If it does, you have to hope that maybe it will be with a bit more dignity than this show. It took one of Broadway's best-loved book musicals and turned the audition for the top roles into a Top 40 karaoke jukebox. It showed us very little about the show, the triple threat that it takes to be on one of America's biggest stages, and much of the time, it didn't seem very much like Broadway or theater. Probably none of this will improve the ratings for another Broadway casting show, but do something a lot closer to Broadway and a lot farther from American Idol. Jim Jacobs really did sum up what the whole exercise was about when he said that Max and Laura made him want to dial up Ticketmaster. What we've been watching is a three-month commercial for Grease, and the producers hope it pays off. It wasn't a good afternoon for Wildcats. Less than an hour after the University of Kentucky basketball team was eliminated from the NCAA Basketball Tournament, UK graduate Derek Keeling was eliminated from the finals of Grease: You're the One That I Want. In the video bit right before the eliminations, Derek said he was confident he would be in the top two, and there was a sinking, "famous last words," sensation about that comment. 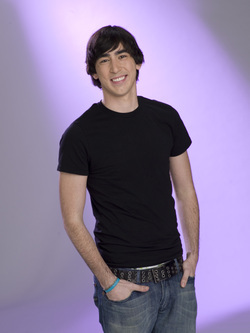 Throughout the competition, Derek and Max Crumm were the only two men who never ended up among the bottom two vote getters, and therefore, they had never been in danger of being eliminated. But once the judges left the decision completely up to the voters, Derek, at one point seen as the man to beat, ended up being the odd man out. Who knows how it happened. Maybe his weaknesses that were showing caught up to him. Maybe a suddenly realigned voting pool just didn't go for him. Maybe Austin Miller's brush with the bottom last week motivated his fan base. With a modest audience, you have to think the voting in this competition would be susceptible to sudden shifts in voting. Such is the hazard of having your fate left up to the whims of a reality show audience. There had to be a little irony for Derek singing, "I sit and wonder why, oh why?" at the end of the show. But you know, in most auditions, if you came in third, you'd walk off the stage having been seen by just a few people, with no idea when you'd have another shot. 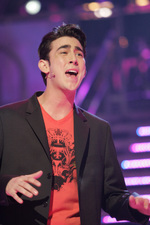 But Derek, as well as the other competitors, have had weeks of performing before millions of viewers. 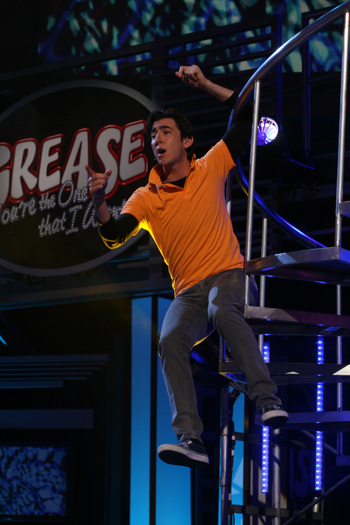 You have to think that for someone as talented as Derek, being on the Grease reality show will open a few doors for him. Having a Tony Award-winning director tell you, "We will work together, many times, in many shows," which Kathleen Marshall said as Derek left, had to be a nice consolation prize. So, now it's down to two unconventional choices: pretty Austin and "slacker" Max -- Derek was considered the one who most, "looked like Danny." This blog has been part of the chorus saying Max is clearly the most talented of two. When Chicago director Rob Marshall was talking about singing the songs in character, Max was the one who didn't have to be told. It's really no surprise that the judges unanimously picked Max and Laura Osnes (copyrighted photos, left and right, by Chris Haston for NBC)as their Danny and Sandy at the end of the show. I had my head down working on this post when Laura and Ashley Spencer were singing their first competition number, and my head popped up when Laura started singing. Her voice is an attention grabber, and like Max, she has the acting chops. So, at least on TV, there seemed to be a consensus that they were the ones the judges wanted. Next week, we see what America thinks (or, at least the smidgen of America that is still watching this show), and as we've seen, that can be a little unpredictable. UPDATE: An interesting little poll on NBC's Grease website asks what combination of Sandy and Danny viewers like most. As of 10:15 Monday night, the Max and Laura combo had 49 percent, or nearly as many votes as the other three combinations combined. Laura is the big winner, because her with either guy amounted to 72 percent of the vote. Of course, we don't know who those voters are, and if they actually voted Sunday night. After two weeks where Derek Keeling seemed to lose his Danny Zuko mojo, the University of Kentucky graduate got back on track tonight with a charming and confident performance of Elvis Presley's Devil in Disguise. And, despite another crack last week, Derek (copyrighted photo, right, by Chris Haston for NBC) still avoided the dreaded sing off. That cannot be said of Austin Miller, who has long looked like his chief rival for the role of Grease's leading man, when the show opens this summer on Broadway. It was an up and down night for Austin, who's machismo has recently been questioned in the quest to play Danny. He started the evening falling into the bottom two and the sing off, and being told that he was the low vote getter last week. But he won the sing off, becoming the last performer saved by the judges, and several of the judges said they would choose him as their Danny, based on the evening's performances. That was actually kind of curious, because Max Crumm was the one everyone gushed over, again. He has definitely gone from longshot to legitimate contender. Right after guest judge Rob Marshall (the Oscar-winning director of Chicago) finished telling Derek and Allie Schulz to become Danny and Sandy now and embody the parts, Max and Laura Osnes came out and did just that. In the women's division, Ashley Spencer gave a nice, convicted performance, and would seem to be Laura's biggest rival for the role of Sandy. As Billy Bush and Denise Van Outen kept reminding us, all the power now lies with the viewers. That would seem to put Derek and Max, and Laura and Ashley at advantages to make the finals. Both Austin and Allie have visited the bottom now, and -- someone correct me if I'm wrong on Allie -- both have been low vote getters. That would not seem to bode well for them in a contest completely decided by voters. It tells us nothing about the top, as we have not been told who's been getting the most votes. P.S. : Raven Snook claims she is not the best Grease blogger, but I heartily disagree. Check her out. Derek, just a few weeks ago seen as the guy to beat in this competition, has a few cracks in his armor. Literally, for the second time in the competition, his voice cracked. It was nowhere near as bad as two weeks ago, where his voice screeched and staggered all over his duet with Kate Rockwell, the Cincinnatian who was actually sent packing last week. And, really, that week's crack amplified this week's. Judge Jim Jacobs tried to play it off as maybe a Buddy Holly-esque hiccup, but David Ian apparently thought it was huge, saying, "It was a crack." Still, Derek's performance of Bryan Adams' Heaven was good and romantic overall. In my book, it was good for second best in the show. I say that granting it was a weak performance week, where everyone but Max stepped back when they needed to step up. Austin's rendition of Fun, Fun, Fun was borderline painful, as he just appeared to be trying way too hard to show the judges he can be, uh, fun. There was also this annoying nasal/over-annunciation problem with the word "now," which appears half a billion times in that song. 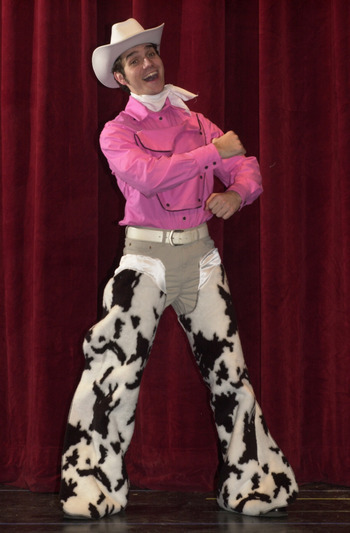 Chad, saved last week from the chopping block by the judges, was OK singing Queen's Don't Stop Me Now. But his voice sounded awfully thin, especially if you consider that song was originally sung by one of the greatest voices in rock history. It may be good enough to keep him out of the basement, but I would tend to wager he and Austin will face each other next week. (watch it be Derek and Max). Max apparently has a girlfriend. Allie Schulz. At least, that's a storyline the producers are trying to sell us, and they will be together another week, as Allie was saved and Kathleen Monteleone was sent home. David Ian said there was disagreement among the judges, namely, he would have sent Allie home. And it was a tight sing-off. But apparently, third time in the bottom and you loose your charm. She did leave with a lovely performance of Look at Me, I'm Sandra Dee. There was an especially good clip in the second half of the show, illustrating the hectic lives of the competitors and how it mirrors Broadway life. There were some complaints about complaints that Kathleen looked winded and out of sorts at the end of last week's episode. "She had a lot to do." "People shouldn't be so hard on her." But that is life in theater, on Broadway: dizzying dance numbers, register-topping songs, 10-second costume changes, and if your boyfriend broke up with you at intermission, we'd better not see it on stage. So, it is fair for judges and viewers to assess how well the competitors hold it together, even while their fate is being decided on national television. Now, it's time to check in with Jamie for an Amazing Race update. If you are a Derek Keeling fan who chose to bypass Grease: You're the One That I Want on Sunday, in favor of the Oscars, you did not miss much. Despite his first stumble the week before, Derek did not wind up in the bottom four and the sing off. That dubious distinction fell to Chad, Kevin, Kate and Kathleen, with Cincinnati's Kate Rockwell and New Yorker Kevin Greene getting the fewest votes and the boot from the judges. We were told that there was division over who to ultimately eliminate, which was understandable since Kathleen Monteleone's (copyrighted photo, left, by Chris Haston for NBC) sing off performance was weak, and after being saved, her own number was dreadful. In a backstage interview, she appeared shaken from being cast in the bottom two Sandys and never quite pulled herself together. But, she apparently killed in the acting portion, so the judges kept her. I say apparently, because we never actually saw much of these vaunted acting scenes, except a few bites. Apparently, they don't think TV viewers would be up for watching a few scenes. Anyway, if Kathleen doesn't pull herself together, she might as well not come back next week, because it sounds like she barely made it through this week. Yes, that's a tough situation to be in on national television, but acting requires some composure. What is she going to do if Ben Brantley rips her in the Times opening night? Will she be able to go on the next day? Anyway, the night belonged to the ladies, with Allie Schulz's It's Oh So Quiet (this is the last show I expected to hear a Bjork song on) and Laura Osnes' Fever carrying the night. The judges kind of baffled me with their evaluation of Ashley Spencer. The said they wanted to see more innocence and vulnerability from her, but she was given These Boots are Made for Walking. Huh? How's she supposed to show vulnerability with that ultra-confident anthem? Anyway, only the women are in danger next week, and then it's guy's night. So we'll tune in then to see Derek, with no distractions. A quick Grease: You're the One That I Want note: Despite a disappointing performance last week, University of Kentucky graduate Derek Keeling did not end up in the dreaded sing-off and is safe this week. Tonight, we are focusing on the Oscars, and taping Grease. We'll post on that (our regular Sunday feature at Copious Notes) tomorrow. Tonight's (Feb. 18) episode of Grease: You're the One That I Want started off with all of Derek Keeling's competitors identifying him as the man to beat and ended with the UK grad looking quite mortal in this competition. Paired with Kate Rockwell from Cincinnati, Derek opened their rendition of From This Moment On with a few cracks and warbles, and the two never really warmed up to each other, while other competitors were offering, "theatrical Viagra," on duets night. That's what producer David Ian called Chad Doreck (photo, right, by Chris Haston for NBC) and Allie Schulz's (photo, below, by Dean Hendler for NBC) rendition of Ain't No Mountain High Enough, which started the show and set a standard. One point that was raised over and over again was the choice of material. Julianna Hansen, who was sent packing tonight along with Jason Celaya, complained she hadn't been able to show her fun side on the show. And frankly, tonight, some competitors were better served by their material than others. Max Crumm and Ashley Spencer got playful with their number, It Takes Two, and Austin Miller and Laura Osnes were able to show some acting chops in I Don't Know Much. But there was a downside for Austin in that number. Derek started the show saying he would be a better Danny Zuko than Austin because he could bring more "machismo" to the role -- reflecting some comments that have been running around chat rooms and blog posts -- and I Don't Know Much isn't a song that's going to make anyone look very tough. That was also a pretty cocky comment from Derek, and if there's any overconfidence brewing there, maybe he needed an off night to bring him back down to earth. Let's just not be like Tubby's Cats and have two (or three) off nights in a row. Considering all the love Derek's received thus far, you have to think that even if he ends up in the sing-off next week, Ian and the rest of the judges will save him once. But Chad, Max and, yes, Austin, are all looking like worthier competitors, so if we assume Kevin will be gone next week, this is no time for a losing streak. There was a mild address of last week's voting controversy with the announcement that judges would have a say until the semi-finals, so it sounds like the last two rounds will be decided solely on audience vote. So that's Grease. Bop over to Jamie Gumbrecht's It's All About for a rundown of Dave and Mary in Amazing Race: All-Stars. If tonight's performance was any indication, we'll probably be tuning in to the bitter end, because Keeling offered another knock-'em-dead performance, this week of Footloose, and earned universal praise from the judges, again. Kathleen Marshall, director of the revival, told Keeling she'd be happy to have him on stage opening night, and producer David Ian said, "You've really got what it takes to be a leading man on Broadway." In addition to singing and dancing chops, Derek's sleeveless button-down showed a well-sculpted physique that must have been good for a few audience votes. Have the producers taken back a little power? Tonight's show featured a sing off between Jan. 28's bottom two Dannys and Sandys in audience votes, and the judges picked who was axed. Predictably, that spelled curtains for the pair they brought back from elimination last week: Matt Nolan and Ashley Anderson. Honestly, wasn't it a tad cruel to give these two a glimmer of hope that they could make it to opening night? OK, I'm complaining about cruelty in reality TV, like that ship didn't sail years ago. Anyway, I did not make it to the second hour because I assumed this was a one-hour show after the two-hour live opener Jan. 28, and my VCR (I know, how 20th Century) was scheduled to catch the Cops on the Grammys. By the way, for all the talk of friction between the band members, Stewart Copland looked like he was having a blast sitting at the drum kit during a rousing rendition of Roxanne. Wow. But I digress. Is NBC really giving two-hours a week to this Grease show?! One is frankly trying enough, and the ratings are underwhelming -- 46th for the week of the 28th broadcast. The formula is really wearing thin, as are Billy Bush's little teasers like, "Will it be a musical masterpiece or massacre." Gag me with a Playbill. Then it's really funny when he greets a performer who just sang with a line like, "Amazing performance," and the judges essentially say, not so much. And why was Juliana Hansen dubbed "Rock Chick Sandy," while the judges keep complaining she isn't tough enough? Wouldn't a rock chick, by definition . . . oh, stop analyzing it. But, for Derek and our Ohio Sandys, Ashley Spencer and Kate Rockwell, we'll keep tuning in . . . even for two hours, if we must. UPDATE: At least a few fans were pretty torqued off about the apparent change in rules. Check the NBC Grease: YTOTIW message board and Raven Snook's blog for TV Guide. Here's the deal: You're singing on national television for the first time ever, live. And you're singing in a national competition for your dream job: a starring role on a Broadway show. The object of the show is that viewers will vote for the Danny and Sandy in an upcoming Broadway revival of Grease, with seven contestants in the running for each role. Well, YtOTIW producers pulled that tired reality-competition show trick of bringing back someone who'd been booted. It's usually an empty gesture, because the second-chance contestants usually just reaffirm why they were dumped in the first place, which is what happened when Matt Nolan and Ashley Anderson came back. In sometimes painful performances, they showed they are well-behind their more experienced and talented competitors. I can't imagine either of them being ready for a Broadway debut this summer anymore than I can imagine myself getting prepared to go play guitar for U2 by then. They both seem like sweet, earnest people who need a lot more preparation before they hit the big leagues. Derek and Austin really look like the class of the guys. Original writer Jim Jacobs tapped Chad Doreck, but his voice wasn't quite there and his performance of Signed, Sealed, Delivered went over the top toward the end. The Sandys were abit more diverse, really leaving the question open of what would you want in a Sandy. Laura Osnes of Minnesota had the sweetness, maybe too sweet. Kate Rockwell had a serious, well-rounded voice, while Juliana Hansen had more of a pop star personality. My personal favorite was Ashley Spencer (copyrighted photo, right, by Haaseth for NBC), who is highly touted for her dancing skills, though she showed the pluck and perk of a Broadway actress in her performance that reminded me of Kristen Chenoweth or Laura Bell Bundy. But this is just the beginning. The show skips next week, presumably because of the Super Bowl, though You're the One That I Want could be great counter programming. In the meantime, you may want to take a look at the show's web page for a little more on all the hopefuls. UK graduate Derek Keeling made it through to the final rounds of Grease: You're the One that I Want, the NBC reality show in which Broadway producers are picking the Danny and Sandy for a Grease revival. Derek got a little bit of screen time, but didn't draw the focus on Sunday night's episode the way a few of the more borderline cases did, such as Matt, an ex-jock with little-to-no theater experience, and Max, a talented guy who didn't quite look the part of Danny. "He's an idiot for coming in with his hair like that," producer David Ian said, during the final selection. But, despite the hair, which looked more Danny Partridge than Danny Zuko, he made it through to the live rounds, in which the audience will have the final say as to who are Broadway's next Danny and Sandy. The final selection did seem to say that Ian, director Kathleen Marshall and original Grease writer Jim Jacobs were more inclined to go with proven talent than a good story. "Whether you can take someone with very little training and get them up to speed to go on Broadway in six months, that's a tall order," Marshall said, around the half-way point of Sunday's show. Later, Ian allowed the misgiving, "If America chooses the wrong Danny and Sandy . . . "
Read: They were leaving nothing to chance, like the possibility the audience latches onto a feel-good story like Matt, or 17-year-old Kelli, and they end up with someone extremely difficult to get ready by opening night. And there is nothing wrong with that. Talking about the show last week, Actors Guild of Lexington artistic director Richard St. Peter made the point that people work for years, decades, to get the kind of opportunity the winners of this show will get. We just wrote about some of those people last month, in Kentucky-born talents Laura Bell Bundy, J.C. Montgomery and Lyndy Franklin. All have paid serious dues to get their shots on the Great White Way. "Wow, this is going to be work," one of the Sandy hopefuls said, in the first segment. Duh. I didn't roll the tape back yet to see if the contestant who made that comment made it through, but the fact that this was a new revelation to her, alone, should disqualify her. It is doubtful the work involved is a revelation to Derek. As we mentioned a few days ago on this page, the 2003 UK graduate has been on tour in Grease with Frankie Avalon and played the part last summer at Stages St. Louis. Curiously, that was not mentioned in the last two episodes, while we were told several times Austin Miller has been on a Hairspray tour and done soap work. Well, starting next Sunday (Jan. 28) at 7 p.m., Derek will have more of the spotlight to himself, and viewers will be the ones in charge of deciding who moves on. Copious Notes will be watching and updating each week until he's eliminated or -- cross fingers -- those producers tell Derek he's the one that they want. UK grad in "Grease Academy"
If one of the faces on Sunday night's episode of Grease: You're the One that I Want looked familiar, that's because it belonged to UK graduate Derek Keeling. 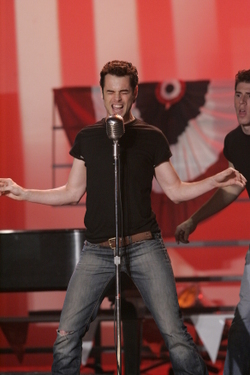 Sunday night, the 2003 grad made the cut for Grease Academy, the Broadway boot camp from which the 12 finalists will be selected. An NBC spokesperson said the network will not confirm who is or is not on the show until after this Sunday's (Jan. 21) episode, at 8 p.m. on NBC, which will focus on the academy and conclude with the selection of the finalists. Derek does have one big thing going for him in the competition: He has played Danny on a Grease tour with Frankie Avalon, and received mostly rave reviews. He reprised the role last year at Stages St. Louis (He's pictured, above, with Hollie Howard as Sandy in a photo by Bill Stover for Stages St. Louis). So, there's little chance of him forgetting the lyrics to Greased Lightning. If he makes the final 12, you'll be able to vote for him in the competition to see who plays the leads in the Grease revival that opens on Broadway in July. Many apologies for being late on the week two You're the One that I Want (photo, below, by Chris Haston for NBC) post. The premier of 24, The Golden Globes and rearranging my daughter's room were running interference. Anyway, gotta say I liked the show a lot more in NYC than L.A. or Chicago. The contestants seemed much more like legitimate contenders and the judges seemed more mellow and in their element. David Ian, in particular, seemed to have dropped the Simon-wannabe act, even delivering a gentle dismissal to 16-year old hopeful Meghan Jardean (we're taking our best stabs at name spellings here, since they don't display them on screen), "We hope it runs for 35 years, and you may end up in it one day . . . well done." Writer Jim Jacobs had a low moment, telling spunky middle-ager Joanne Rizzo she needed to get some mirrors for her house after it was already clear to her she was not right for Sandy. But then, he had an intriguing moment of insight, contradicting his fellow judges to pass "soulful Sandy" Anna Marie through because he saw some of the woman Sandy was based on on the young hopeful. A very strong hopeful was Austin Miller, who played Link Larkin on a Hairspray tour (photo, right). A blonde Danny? Hey, Blonde Bond worked. Miller was indicative of the talent the show picked up in NYC it didn't find much of in L.A. and Chicago: Experienced, professional actors who know how to audition and what they are right for. Part of the drama that the show was trying to build up was that maybe the producers won't find their Danny and Sandy. That was pretty much put to rest by this episode. This actually sparked an interesting discussion in the office, here: After being billed as a show that tried to find undiscovered Danny and Sandy in the Heartland, so to speak, would America be happy with winners who the producers may have found in a much lower-profile casting call on Broadway? Dunno, but in two weeks, America will get to start voting on the hopefuls, Idol style. ~ I just finished watching American Idol with my daughter, and one thing that stuns me in both of these shows is many of the contestants' lack of preparation. This is the preparation standard I often hear from professional singers when they talk about pieces they're doing in auditions and performances: If someone woke you up at 3 a.m. and said sing, you should be able to perform the song flawlessly (after a few minutes to warm up, of course). But some of these folks walk in, and it seems like they expect the words to come down from a deity on high. If you walk in front of national TV cameras, and you don't have the words and tune down cold, of course they will melt away from you. The idea was intriguing enough for me to shake off my natural avoidance of reality TV: A national, open casting call for the lead roles in the forthcoming Broadway revival of Grease. So, I tuned in You're the One That I Want to see what it was like. The most visceral reaction was that I wanted to sit the three judges -- David Ian (a Simon), Kathleen Marshall (a Paula) and Jim Jacobs (What the . . . ?) (seated left-to-right, respectively, in the photo to the left by Dean Hendler for NBC) -- and give their little show an upbraiding similar to the skewering they gave some of the Grease hopefuls. The only thing different from American Idol here is the endgame, that the winners will play Danny and Sandy on Broadway, and probably several million viewers. Billy Bush -- who, amazingly, I could actually stand on this show -- was basically doing a Ryan Seacrest impersonation as he gabbed with contestants and even became an advocate for one. As for co-host Denise Van Outen . . . uh . . . it says she was on there. I don't quite remember. A while back, NBC announced it was eliminating original scripted programming in favor of lower-cost reality and game shows in the 8 p.m. time slot. In a big way, YTOTIW is a depressing example of TV as pure commodity: take a tried-and-true concept, a tried-and-true title, slap 'em together and hope the Nielsens are huge. There is absolutely nothing original here. 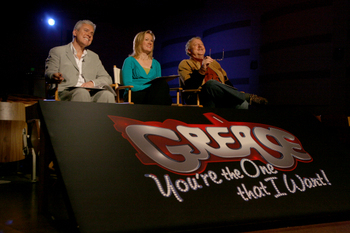 The premier episode (Jan. 7) covered auditions in Los Angeles and Chicago. It elicited very similar feelings to watching an Idol casting episode, as you just sat in amazement at how not self-aware many people are. We saw numerous people who didn't fit the parts of Danny and Sandy in any way shape or form, and at a real casting session probably would have been sent home without singing a note. But this is reality TV, where some lambs must be sent to the slaughter. Some of them did show talent. Patrice, who becomes known as The Dancing Cupcake, comes across a genuine triple threat who could probably be in the chorus or do a great Tracy Turnblad in Hairspray. She expresses hope that maybe the producers will take a nontraditional view of Sandy, but this is all way too formulaic for that. At least she got a few minutes to show America she's got talent. For a while, you wondered if anyone in L.A. had talent, as the show solely focused on the awful and inappropriate. But they did find some genuine potential stars who will be sent to Grease Academy, the pool of 50 from whom the 12 finalists will be selected. This selection is done with Ian uttering the awful attempt at a catch phrase, "You are the one that we want to go to Grease Academy." Auditioning in Chicago was more of the same. Next week's show is supposed to cover the New York auditions, which you would expect and the promos seem to promise will yield a stronger pool of hopefuls. After all, New York is where most legitimate Broadway aspirants live and audition. Something more like a real Broadway audition process would be more interesting. Writing about Lyndy Franklin, the Lexington talent in A Chorus Line, I learned HBO cameras had been following the revival for an upcoming program. That's something I want to see. This is essentially glorified free publicity for the Grease revival and cheap product for NBC that will likely produce a perky blonde Sandy and oily handsome Danny from central casting. But, Copious Notes will go through the New York show to see if You're the One That I Want is something we want to follow.